Once your decking has been installed, very little decking maintenance is required to keep it looking in ‘tip top’ condition for years to come. Besides offering a solid 10-year product warranty, Mayfield also offers good advice on how you can take care of your sundeck after installation. 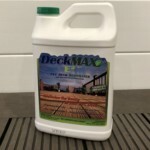 We have all the products and decking aftercare you would need to keep up with your decking maintenance. On top of our decking aftercare, Mayfield offer a range of decking accessories to complete your static caravan or holiday home. 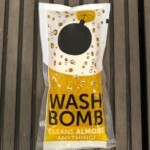 Clean balustrades using our Wash Bomb Cleaner – Follow application instructions on the sachets for best results. We recommend cleaning your balustrades a minimum of every three months to maintain standard protection from the elements. 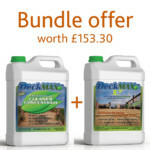 For decking cleaner, we suggest the best decking treatment to use is the Wash Bomb Cleaner. Follow application instructions on the sachet. For best results we recommend using a jet wash with a diluted solution of our Washbomb formula. 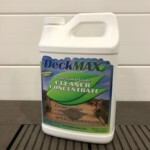 It is recommended to use your decking cleaner every six months to maintain standard protection from the elements. NEVER USE ABRASIVE CLEANERS. 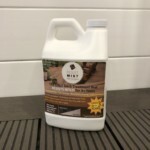 THESE WILL SCRATCH AND REMOVE THE SHINE FROM YOUR BALUSTRADE AND DECKING PRODUCTS. If your require any further advice about aftercare of your Mayfield products, you can call our skilled and qualified experts on 01202 233959. 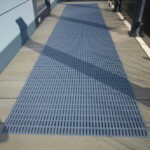 They are always willing to help you with any questions related to your decking.